Project title: Development of Advanced Thick Sectioned Composite Parts using Semi-Cured Composite Laminates. Qualification: M.E. / M. Tech in Chemical Engg. / Mechanical Engg. / Polymer Engg. / Materials Engg. Candidates should bring all original Certificates, testimonials, thesis and published papers, if any, along with one set of self attested photocopy on the day of interview. 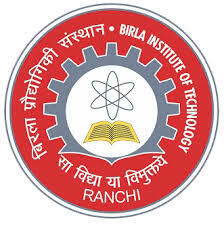 Venue: Department of Chemical Engineering, BIT-Mesra, Ranchi, Jharkhand-835215. Date and time of Interview: 4th October 2017 & at 10.30 AM.